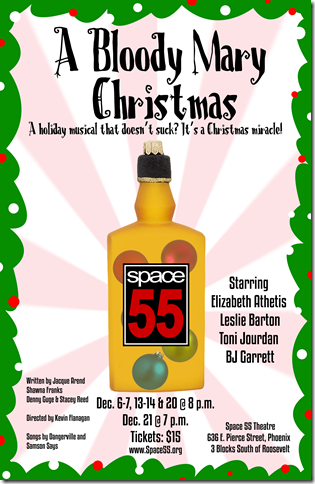 For the fourth consecutive year, Space 55 presents a holiday musical for people who hate the holidays and musicals. Sun City retirees Blanche, Bertha and Mabel sing, dance and drink themselves silly as they battle a heartless homeowner’s association that tries to evict them from their condo on Christmas Eve. You’ll laugh, you’ll cry, you’ll pee a little. Need we add that this show isn’t even remotely appropriate for children?